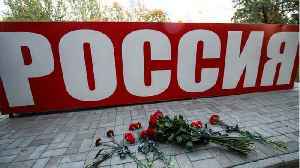 Russian authorities in Crimea were searching Thursday for a possible accomplice of the student whose shooting and bomb attack on his vocational school killed 20 people and wounded more than 50, a top official said. 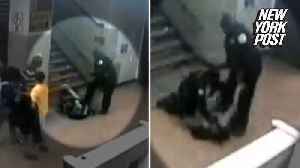 Surveillance footage from a high school in Chicago, Illinois, shows police officers dragging 16-year-old student Dnigma Howard down a flight of stairs by her leg. 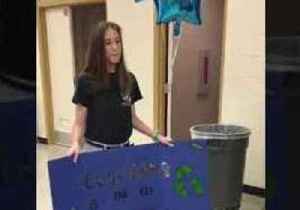 A student from Milford, Ohio, was over the moon when a classmate accepted her super-sweet promposal recently.Footage shared to Facebook by Milford High School library aide Andrea Bauer shows high..
Delores Matheny: Martin County bus aide suspended for grabbing Trump hat off of student's head. Trump hat bus aide suspended MARTIN COUNTY, Fla. A Martin County school bus aide seen grabbing a..
Teachers who work at the Fairview Park Middle and High School can skip the stop for coffee on the way to school thanks to a brand new business delivering coffee to the classroom.